Do you have a small sized wrist? Are you looking for a watch band for your Apple watch? Sounds like you? While looking for the band, size is vital as the band needs to be proportional to your wrist. What’s the point of dropping dollars for your watch but styling it with an ill-fitted band? We all don’t have the same sized wrists. So, to cater the needs of individuals with small wrists, we have conducted comprehensive research and found the specific bands designed for the small wrists. Apple Watch- What you need to know? Apple watch is an ultimate smartwatch that is known to manage your lifestyle. Till now it has come up with 4 Series, and the Apple watch Series 5 will soon knock the market. The watch is your workout partner, activity tracker, health monitor and also gives an easy medium to connect with your phone. In its recent release that is Series 4, the watch is completely redesigned to give you the best experience. It has completely transformed the definition of the smartwatch. Starting from its display to battery life, and sensors, its whole standard is reset to a new level. Whether you already have a loosely fitted band or planning to buy a new band, style your Apple watch with the bands that are made to fit your small sized wrists. Give your wrist a flexible and comfortable fit with this Velcro closure band that is available in 34 colors. It is made from a high quality woven nylon that keeps your wrist at ease all day long. This sporty band with hook and loop fastener gives you the comfort to fasten or loosen the loop according to your size. It is equipped with watch lugs that securely lock the band on to your iWatch. The light weighted band is well-cushioned and won’t harm your sensitive skin. It is compatible with Apple watch series 1, 2, 3 and 4.The band fits best on wrist sizes 130-190mm. Enhance your style with this Rose Gold strap for your Apple watch. This trendy stainless steel strap will give your watch a stunning look. It is specially designed to fit your wrist with its adjustable folding clasps that can easily resize the band. The embedded rhinestones crystals on this premium quality watch band make it more appealing. Get this beautiful band to add a class that is compatible with all series of Apple watches from Series 1 to Series 4. Backed with a 1-year warranty, unbeatable quality and outstanding durability it is available with free shipping. You also get a 90 days return period if it doesn’t appropriately fit you. Fix your iWatch with this fancy bangle cuff. The adjustable stainless steel band snugly fits your wrist curve. The size can be easily adjusted by sliding the chain balls. This fade free, highly durable band won’t harm your skin as it is made from nickel free elements. Decorate your watch with this elegant band and give your wrist a nice look. Add a touch to your Apple watch with this delicate and elegant Rose-Gold bracelet. The hypoallergenic stainless steel band gives an excellent fit to your sleek wrist with the easily resizable watchband clasps. This fashionable band is compatible with your Apple watch series 1, 2, 3 and 4. It looks best on watch as well as sport edition. Whether you change your mind or the band doesn’t fit your wrist, limitless offers you 90 days return period. 1-year warranty also stands behind the outstanding product that is highly durable. Milanese modernized Infinite Loop is a smooth mesh of stainless steel that adjusts perfectly to your wrist size. 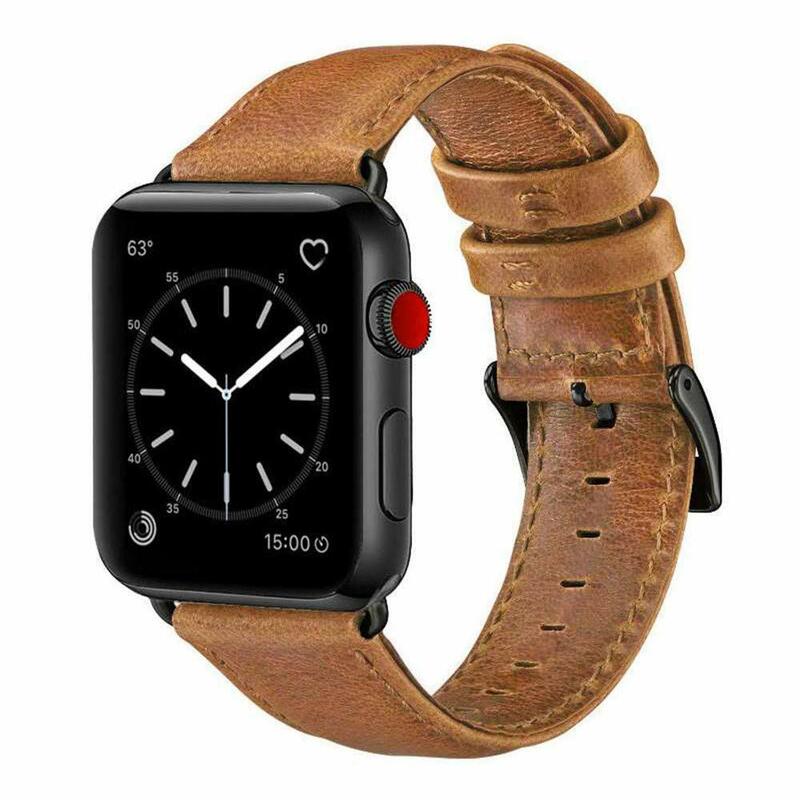 This delicate and durable accessory is compatible with the watch and sport edition of Apple watch Series 1, 2, 3 and 4. Packed with 1-year warranty, the infinite loop comes in 6 colors and is designed to give your wrist a lasting experience. Facing an issue with the product, you have 90 days return period. Crafted from genuine leather this fashionable band takes the looks of your luxurious watch to another level. The stainless steel connectors on the loop secure the band on to your watch by letting it easily installed on to your Apple watch. This best-fitted band is compatible with Series 1, 2, 3 and 4 Apple watches. Fusion of link and classic bracelet, this band is made up of zinc alloy and gives you a lighter feel on to your wrist as compared to stainless steel bands. It is compatible with sport and watches editions and is suitable for Series1, 2, 3 and 4 watches. The locking link clasp makes it easier to resize it as per your wrist size. It comes with a 90 days return policy and with 1-year warranty. Decorate your Apple watch with this stainless steel band and experience the cooling sensation of steel on your wrist. The classic band with clasp lock design gives your wrist a comfortable fit by easily adjusting its size. This band is compatible with the watch as well as sports edition. 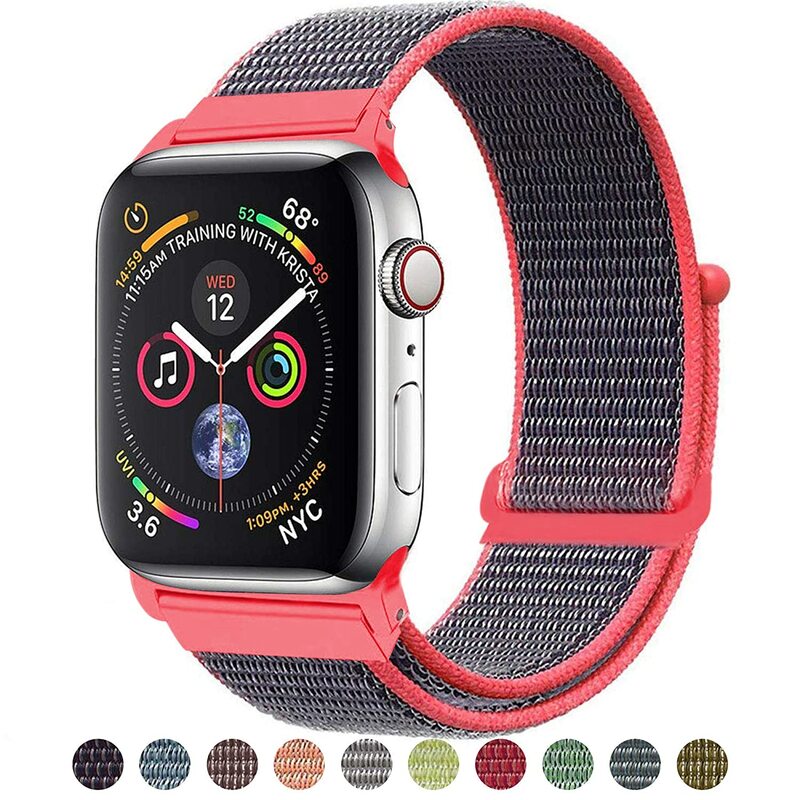 Packed with 1-year warranty, and free shipping the watch also comes with a 90 days return policy if it not fits your size or even you change your mind. Limitless delivers the best customer service with flexible replacements. The high-tech Apple watch and versatile straps for every wrist size through Apple and third party makes you love more with your watch. Doesn’t matter which watch series you own, the bands as mentioned above will surely exceed your expectations. Attract attention to your wrists by customizing your Apple watch with these amazing bands that give the perfect fit to your small sized wrist.